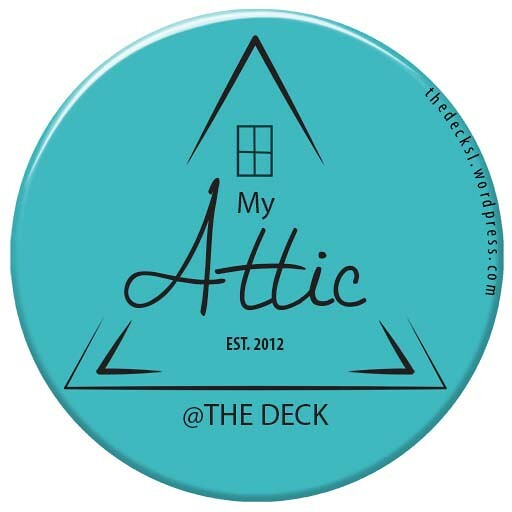 New from DeLa and available at The Deck location. Also don’t forget it’s Halloween week at The Deck and DeLa as well as many other stores have treats available, DeLa has reduced two of their clutch purses to 100L each for this event, so make sure you don’t miss out. 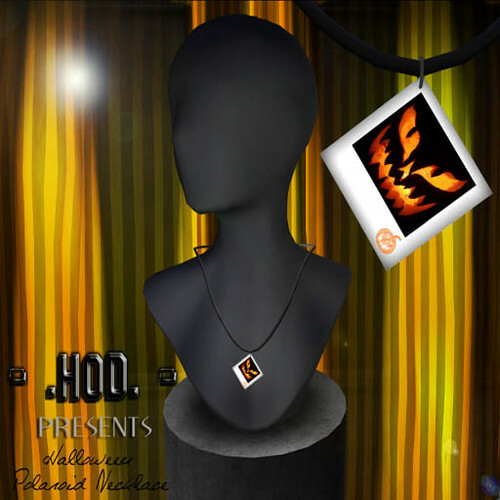 Other items part of Halloween @ The Deck week. 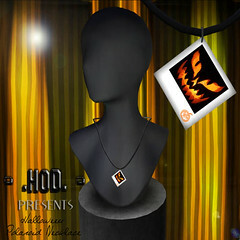 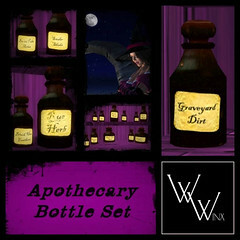 All items that are part of The Deck Halloween event are priced at 100L or under , some freebies and dollarbies also. 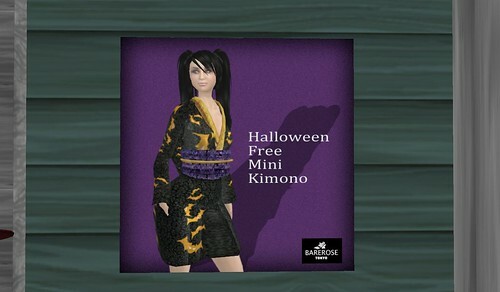 Mmmmmbrains, what more could you want at this time of year. 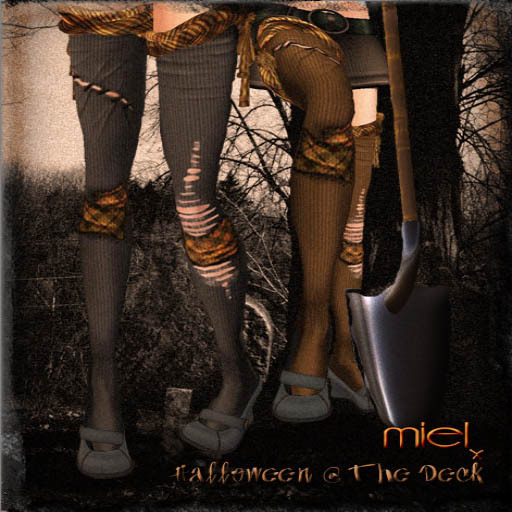 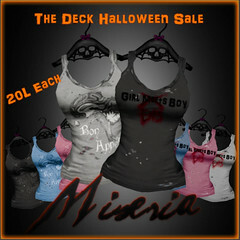 Miseria has the fabulous Zombie tanks reduced to 20L each for the Halloween Week @ The Deck. 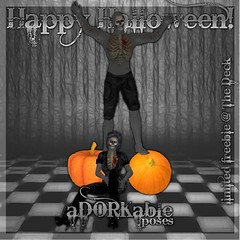 June of Barerose and her fabulous Manager Tori of Tori -wear, both have stores @ The Deck , and have both generously placed freebies out for the Halloween week, make sure you come by and grab these holiday treats. 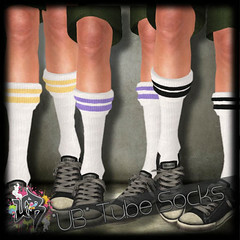 In the Urbanity store we have treats that you can eat and wear and just enjoy the fun of. 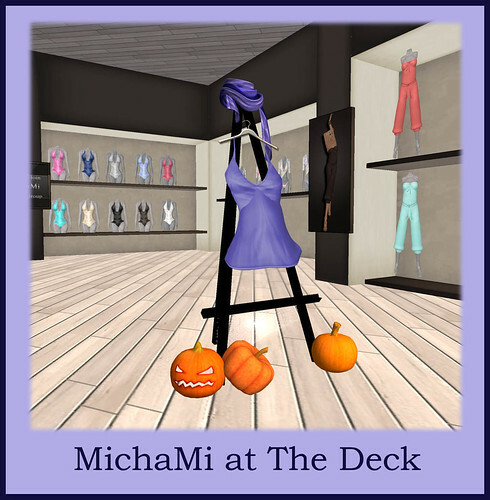 The burmuda shorts are a must have, and the twig to chew on is a free item for The Deck Halloween Week, all these items are part of the Halloween Week event, so don’t miss out. 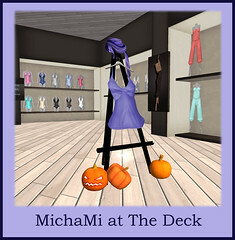 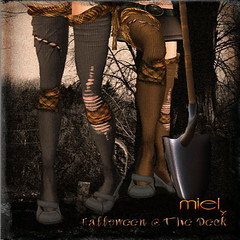 MichaMi has decorated and gotten into true Halloween stride, purple being the much loved colour of all witches Milla has set out the Lavender Ebba Scarf and Ebba Tank for free, with a 50% Off on her Ebba Jeans only at The Deck location…so be sure to make the most of these treats by MichaMi for your Halloween Week. 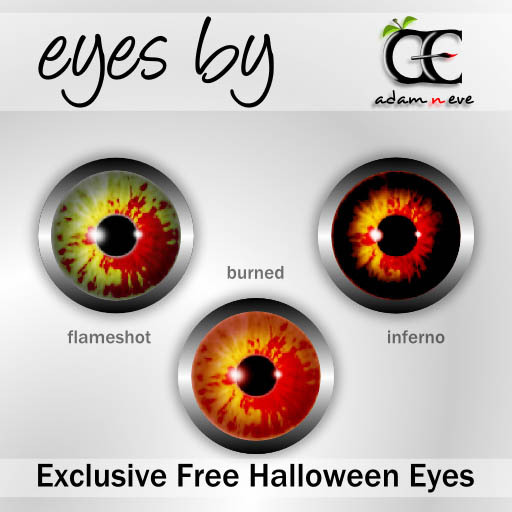 These eyes by Adam n Eve have been exclusively made for their store at The Deck during the Halloween week, these fabulous eyes are the perfect way to add to your costume for the weekend…they are also free, and look out for a sculpted witches hat by Damen Gorilla of Adam n Eve also set out for free – I think it blew off the head of a wandering witch. A much loved favourite of those having followed Miel from the begining, the LO Refurbished Socks are a exclusive item for sale at Miel @ The Deck , these come in two sock colours as shown and are adorable.